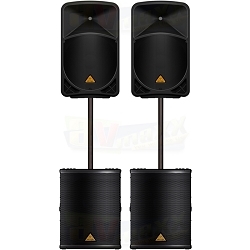 12-inch Powered Speakers, with 18-inch Powered Subwoofer, compact and Extremley Powerful, Bundle Price! 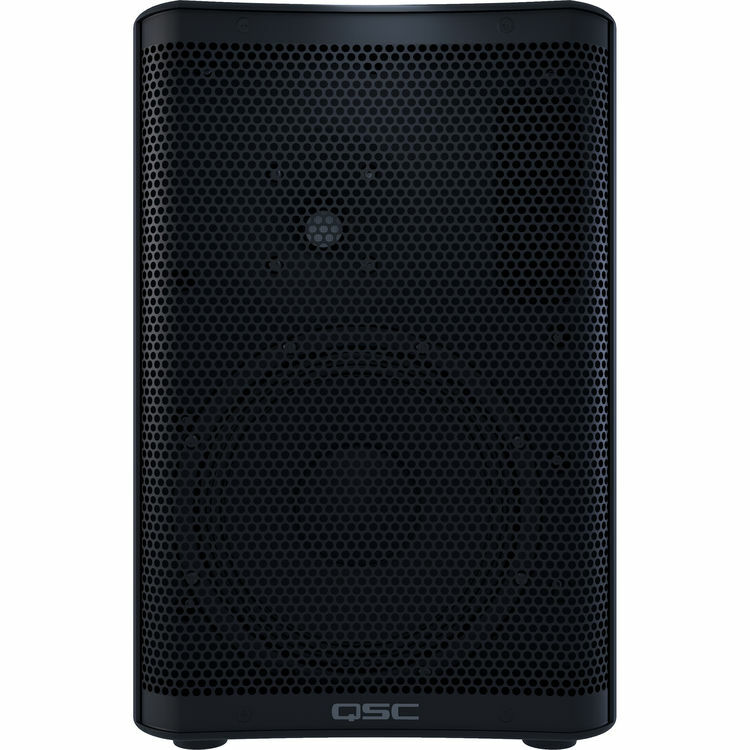 QSC CP12 and Behirnger B1800XP Package is the preferred choice for an ultra modern Active Speaker Setup. 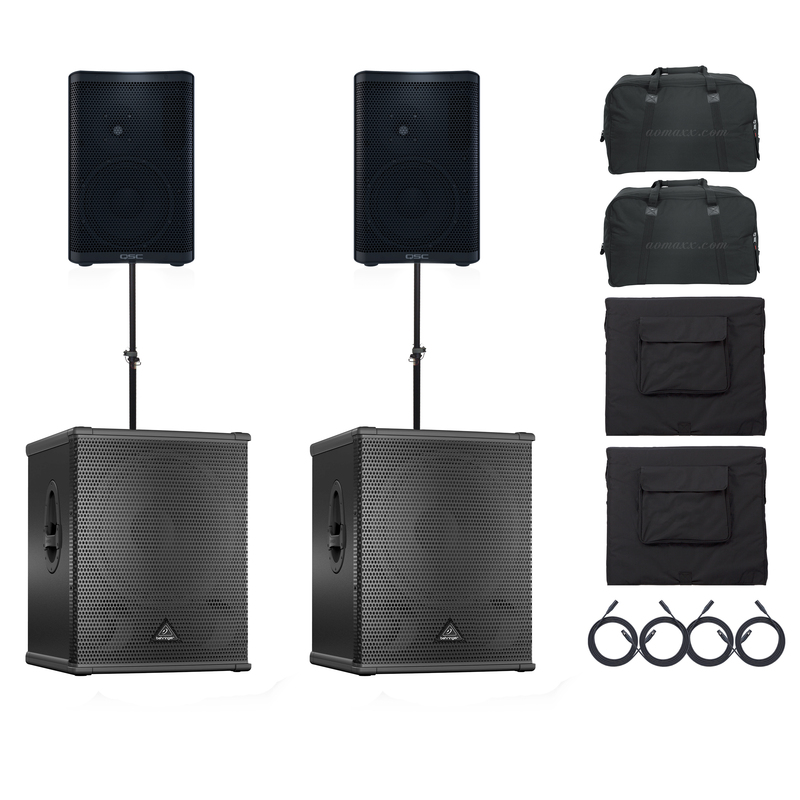 7,000 watts of combined Power gives you sufficient headroom to offer an awesome experience to any size event that will captivate your audience. 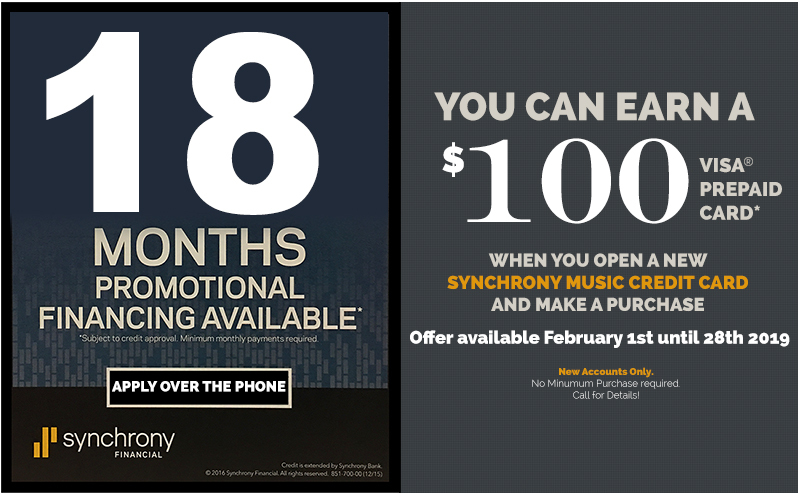 Highly Recommended for DJs, Live Bands, Fitness Centers,Church and more! 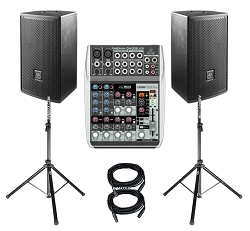 With subs as intelligent, high-performance, and lightweight as the Behringer Eurolive B1800XP, it's never been easier to add big bass and hard-hitting low end to your live rig. Gone are the days of pairing the right amp with the right speaker and tuning the crossover just so. 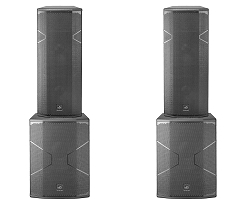 The Eurolive B1800XP is not only affordable and loud enough to cover a range of live sound needs, but it also pairs easily with any Eurolive 2-way loudspeaker. 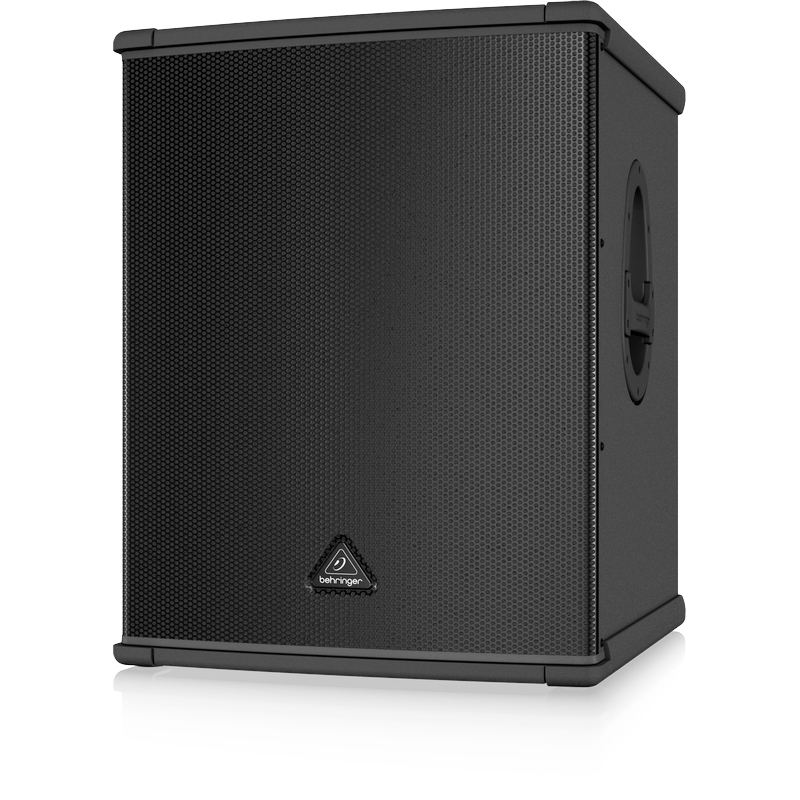 The compact Class D amp pumps 3000 watts into the capable 18", British-designed Turbosound speaker to fill a room. 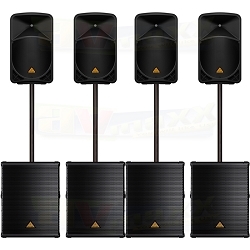 Moreover, features like a tunable Bass Boost and Phase switches will have you sounding your best from venue to venue. 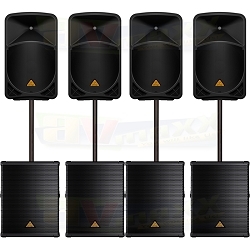 Behringer enlisted British speaker builder Turbosound to design the powerful subwoofer in its Eurolive BX1800XP. Turbosound has better than 30 years of experience in the field, and its loudspeakers can be seen in major venues across the globe. 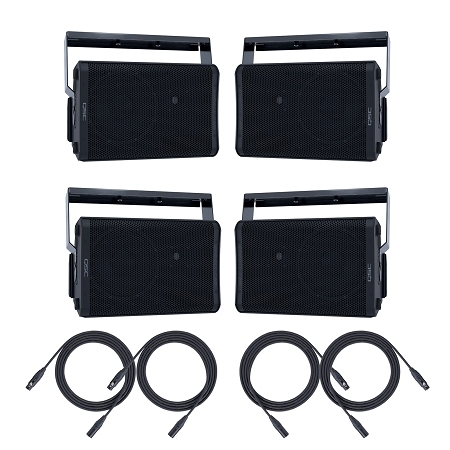 This 18" speaker boasts a whopping 3000-watt rating to handle the massive power contained in the onboard amp. 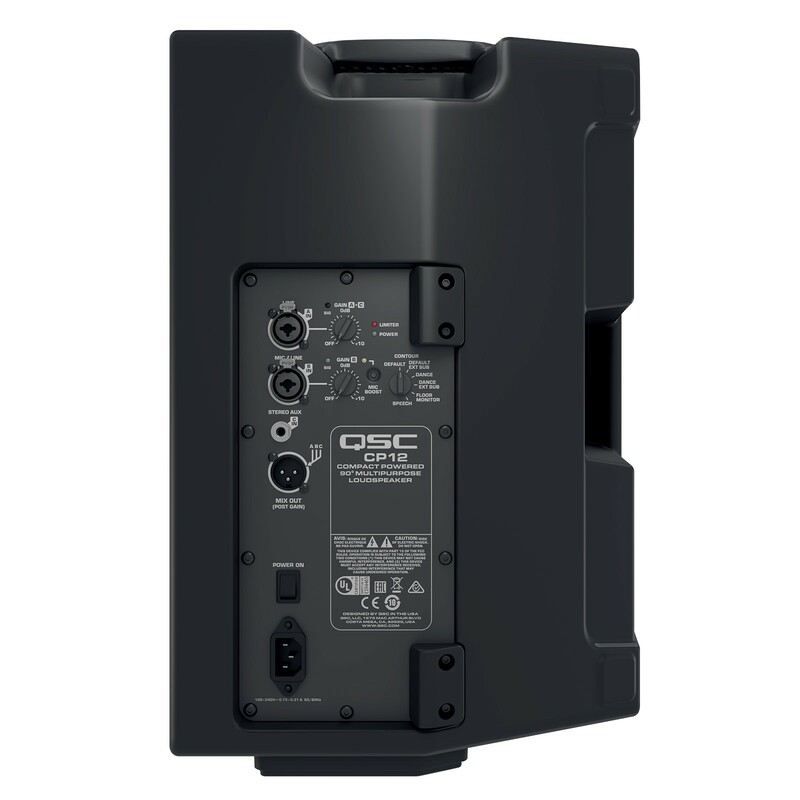 The B1800XP's 3000-watt amplifier provides enormous power and sophistication without weighing you down. Its Class D topology is not only efficient, but also uncolored, giving you plenty of clean headroom to power your bass grooves and breakbeats. An intelligent limiter talks to the woofer to keep you from damaging your system. And thermal protection keeps your amp from overheating due to overuse.